The head of Apple's Internet software and services, Eddy Cue, has been named to Ferrari's board of directors. Many analysts are taking this as a big hint that Apple is planning more aggressive moves into our cars. Actually, we know Apple wants to have a bigger role in automotive integration because, A. Duh, and 2. they've already partnered with nine auto makers to support Siri's "Eyes Free" feature. It's speculated that GM's Sonic and Spark are the cars most likely to first integrate Apple's Eyes Free Siri. 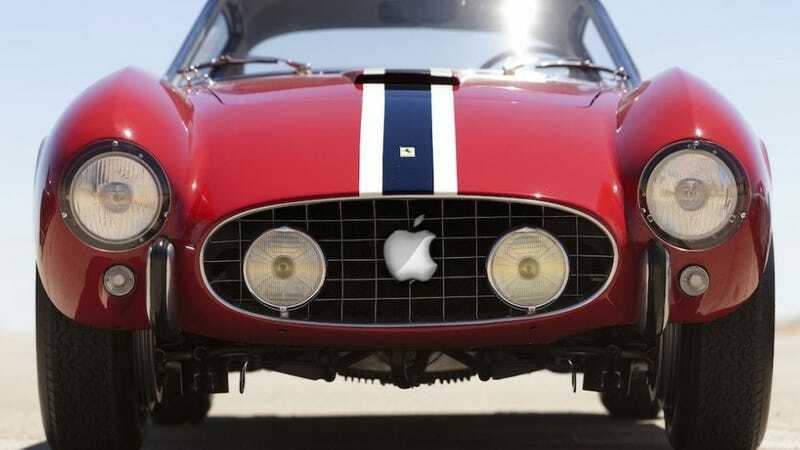 Ferrari's obviously a halo, niche, and very exclusive brand; while I'm sure Apple is very happy to be associated with the company, this particular alliance isn't one that really plays to the mass-market car buyer. Hopefully this relationship means something more fun than shiny red iPhones.